Getting into a prestigious university is one thing, but being able to pay off your college expenses is another task that many students and their families struggle with. It’s a known fact that receiving quality education for your college years can be very costly. You may also see examples of certificate of appreciation. For this reason, applying for different scholarships must be a priority for every diligent student to work on. It won’t be easy, but if you keep your eyes on the prize, all the time and effort you’ve sacrificed are sure to generate positive outcomes. You may also like scholarship application examples & samples. 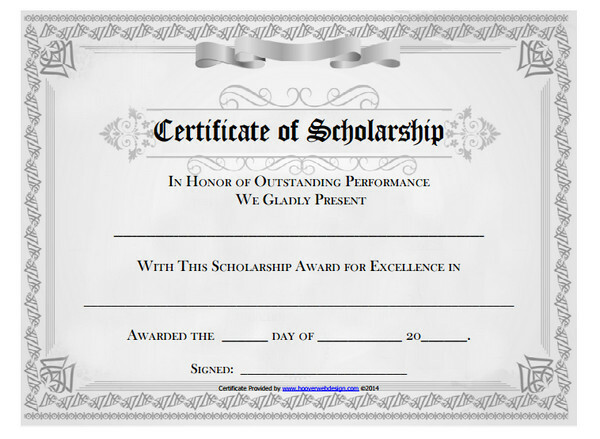 Students who are granted with scholarship award certificates usually earn what they receive. To understand how this entire process works, let’s take a deeper look into what a scholarship really is. Scholarships are a financial aid designed to sponsor students in paying for their education. Scholarship grants are most common in colleges and universities due to the total amount of expenses that students are forced to make up for. Some scholarships are even renewable, and provide students with allowances for each semester or school year. You may also see modern certificate examples & samples. What makes scholarship awards different from student loans is that they don’t have to be paid for. Students may receive their scholarship funds directly from a sponsor in the form of a check. In other cases, the money is given directly to the educational institution in the student’s behalf. However, there are instances where the student may have to shoulder for other expenses that could not be covered by the scholarship, whether this is for their tuition, dorm room, or other related fees. But if the scholarship and other forms of financial aid are more than enough to finance the student’s education, the excess money may be refunded to the student. You may also like examples of certification of participation. 2. How Is the Money Spent? 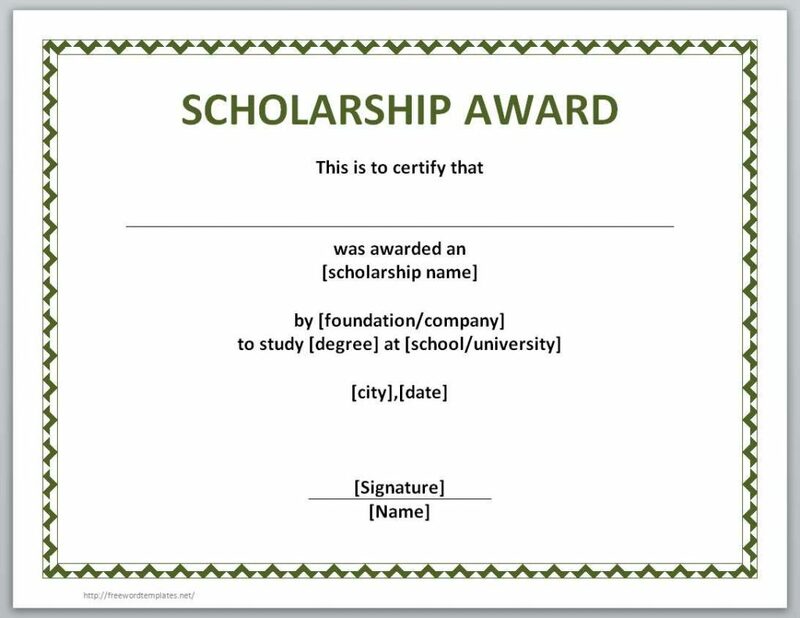 Scholarship awards are typically granted under your name. It can be spent on anything, but it’s best to make a wise investment on your future rather than on random video games and concert tickets. The money should be used solely for school expenses. This would mean anything from your tuition, books, school supplies, housing, food (because you can’t get through the day on an empty stomach), or perhaps even a new laptop or paid software. You may also check out certificate examples in pdf. 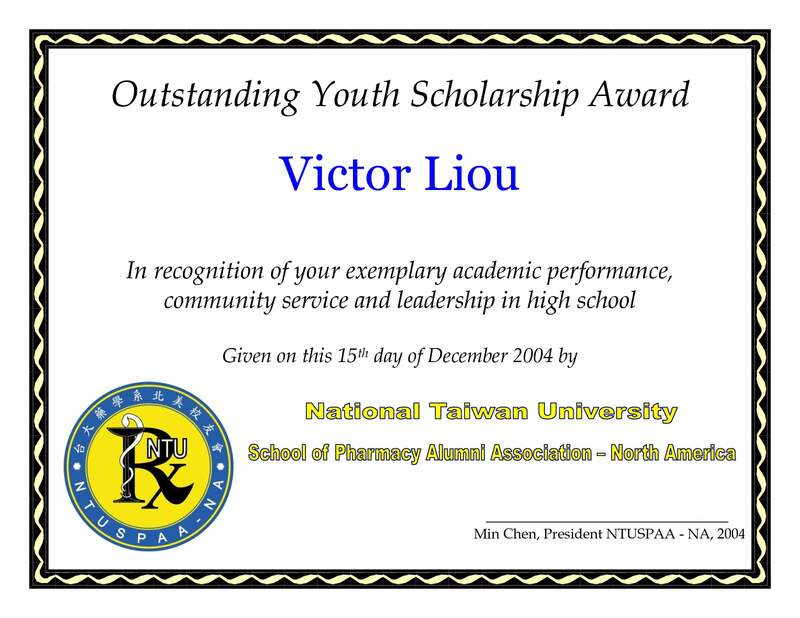 How and when you receive the scholarship money would depend on the type of scholarship given to you. Some funds are distributed through multiple installments throughout the year, or through one huge chunk of money right before school starts. Some scholarships are paid out in the middle of the semester to ensure that the money is spent accordingly. 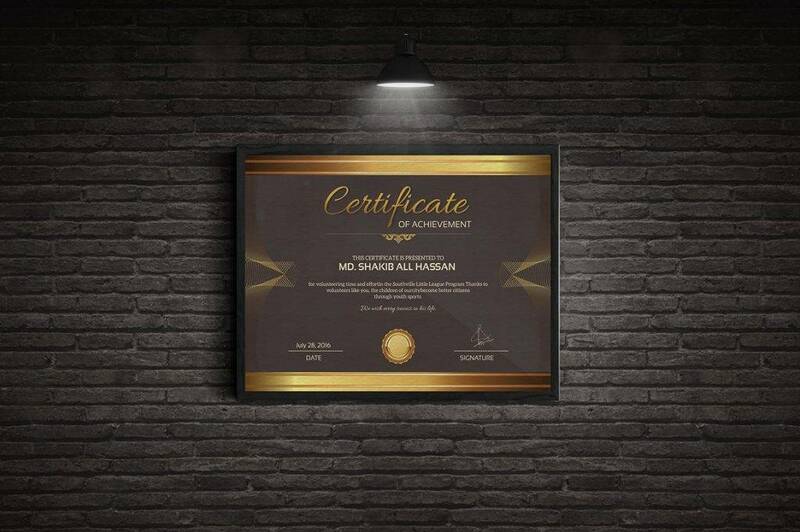 You might be interested in examples of certificate of completion. Scholarships can come from a wide variety of sources. 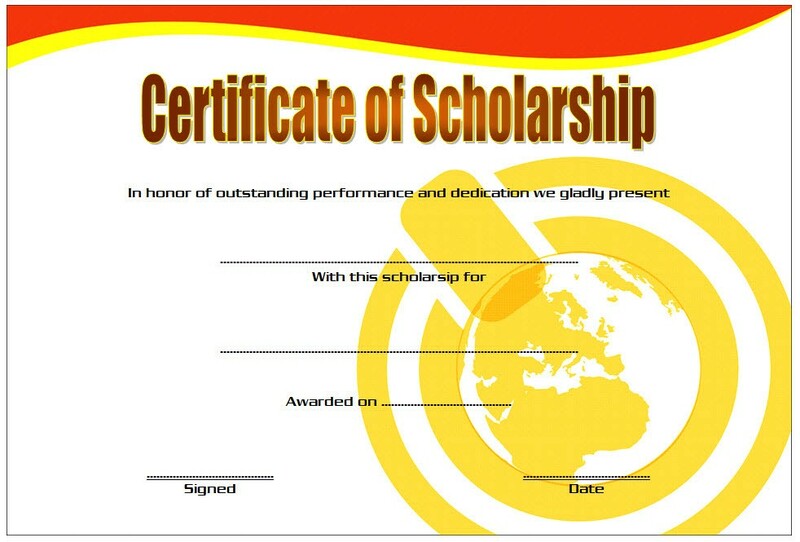 Many government organizations and private sectors offer scholarships to students through some sort of an application. The entity would determine whether or not you’re eligible for such scholarship based on your grades, financial status, and other related factors. 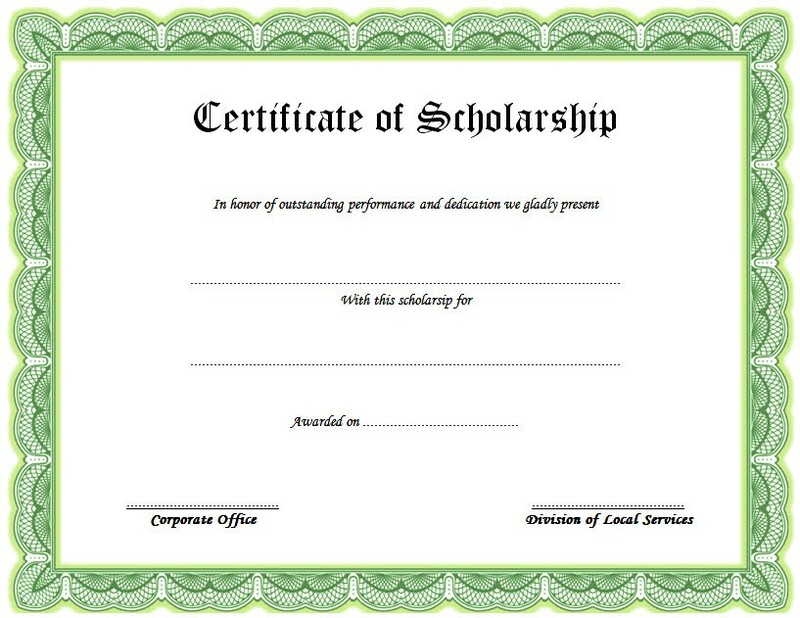 Some businesses and organizations even hold special contests and competitions for students that are interested in a scholarship at a particular college. Many universities and colleges also offer financial assistance through a merit aid. You may also see soccer award certificate examples. Keep in mind that not all scholarships require students to graduate or maintain an impressive GPA. Each scholarship has its own criteria that applicants must meet for them to be accepted. 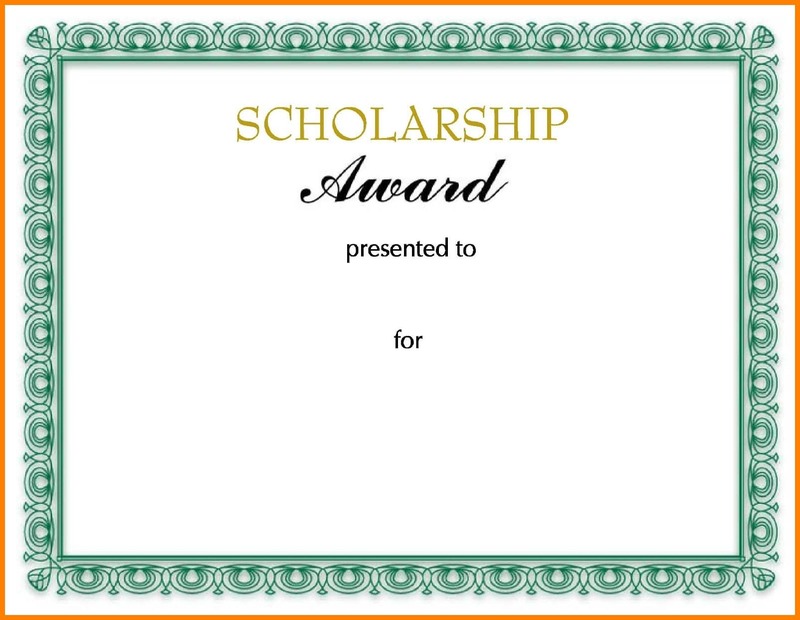 Other scholarships are granted to students who are members of a certain group, studying a specific field, or have passed whatever guidelines a sponsor has. Not all scholarships focus on your academic capacity, like for instance, college varsity students are often awarded special privileges for their hard work and dedication to bring honor to the school’s name. You may also like sports award certificate examples. Most athletic scholarships are granted to students who have been recruited during their pre-college years, or those that have auditioned during try-out season and were accepted. 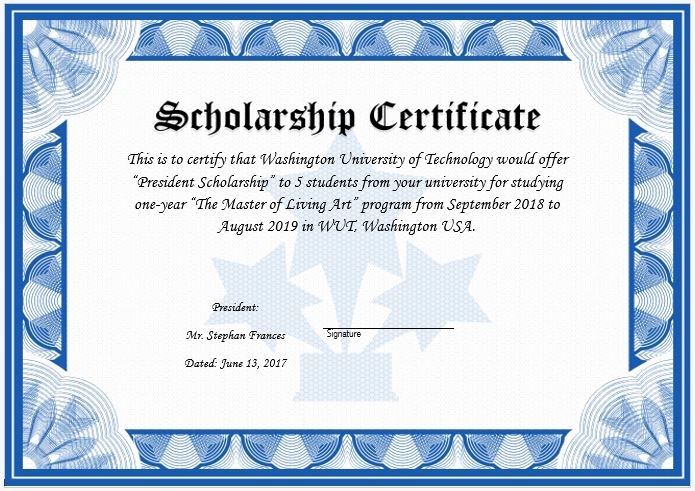 The great thing about scholarships is that you could apply for one during your college years all the way up to the PhD level for further studies. 1. Apply for a local scholarship. There are many local scholarships that may be applied for through different clubs, businesses, organizations, and other benefactors. Since local scholarships are usually open to students from that particular community, then the odds of winning such scholarship are relatively high. 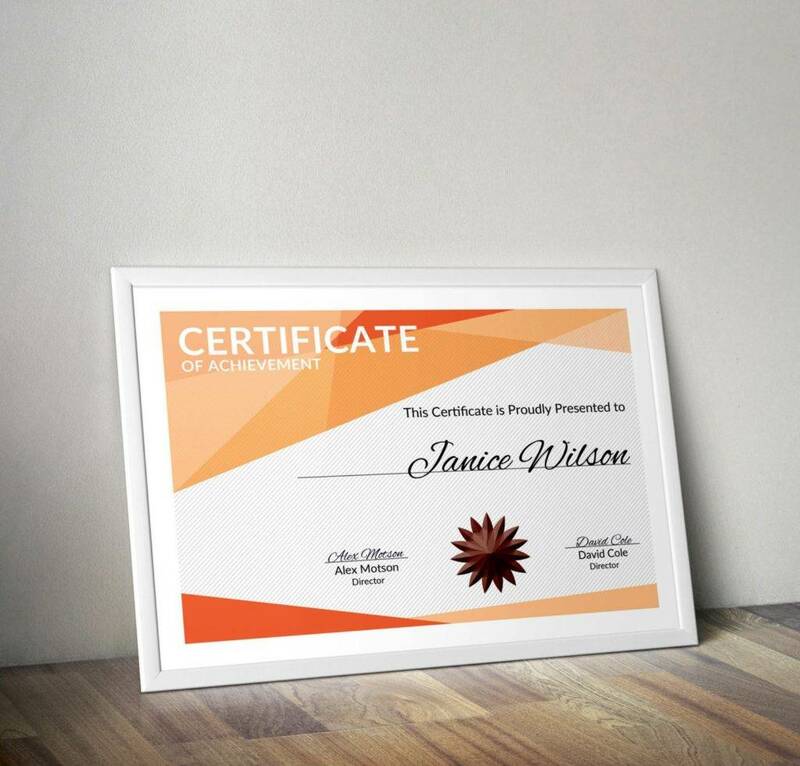 You may also check out training certificate examples and samples. If you’re having trouble looking for a local scholarship, then you can try asking some of your teachers and guidance counselors, local media websites, community portals, Internet searches, or even people from around your area who have already graduated. You might be interested in certification templates & examples. 2. Look for smaller scholarship offers. 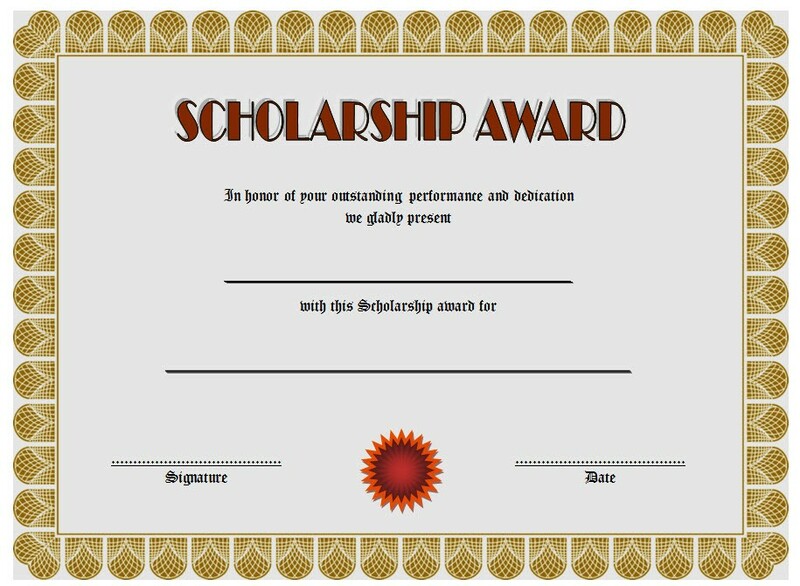 Most students seek for scholarship awards that offer the biggest bucks. It only makes sense to do so, especially if you’re looking to get into a reputable university. However, these scholarships can be a lot harder to land due to its growing number of applicants. So instead of waiting around for something that’s uncertain, perhaps you could try out for smaller scholarship offers as well. Though they may not cover all the bases, they might be enough to finance your basic necessities. You may also see examples of sports certificate. After all, paying off smaller expenses can still leave you with big savings. 3. Consider scholarships with hefty workloads. There are some scholarship offers that require a heavy workload, and these are usually the ones that students try to avoid. Creating an essay, video presentation, or other related project demands a good amount of time and effort to begin with, and although this can be quite a hassle, it’s still something that you should consider. You may also like completion certificate examples. More work means fewer applicants, and the less applicants there are, then the better your chances are of winning. If you’re up for the challenge, make sure your writing skills are polished enough for the 1000- to 5000-word essay that you’re about to compose. Applying for multiple scholarships at a time can be very stressful. So rather than burning yourself out applying for scholarships just for the sake for it, maybe you can find a few scholarships that you’re actually interested in. This way, you can let your personal voice shine through by stating concepts and ideas that reveal who you are as a person. Scholarships that center on one’s passion usually lead to better submissions. You may also check out what is an academic certificate? 5. Don’t introduce yourself in an essay. Self-introduction essays are extremely cliché, and it’s not a topic you’d want to use for something as important as a college admission essay. It’s best to select a subject matter that’s relevant, interesting, and unique. You can address current social issues that surround our modern world, or to stay on the safe side, provide your in-depth knowledge about your favorite hobbies or interests. The good thing about choosing a subject that you’re passionate about is that writing a 1000-word essay for it won’t be as daunting. Furthermore, be sure to keep the essay short and to the point to give readers a clear picture of the message you’re trying to convey. 6. Avoid using famous quotes. Quotes are great, but if you’re using them to fill in the word count, then you might want to think twice about it. Quotes from famous authors are often disregarded, even if you’re using it as a reference for a point you have mentioned in your essay. The essay should be about YOU. It must be a creative piece that distinguishes you from the rest of the applicants in order for it to stand out. It’s best to keep it original with your own words and ideas. You may also see award certificate examples and samples. 7. Stick to the word limit. It’s not unusual to get carried away with your writing, especially when it’s about something that you’re fully invested. However, exceeding the word count indicated in the instructions is sometimes considered as a disqualifying factor in college applications. You may also like salary certificate examples & samples. To avoid this from happening to you, be wary of the word count while writing your essay. You can get as close to the word count as you can, just as long as you don’t surpass it. But if you happen to go over the word count, then try cutting out and editing your work until it reaches the desired number. You may also check out donation certificate examples. Don’t forget to review your essay multiple times before submitting it. Check for any spelling or grammar mistakes that could potentially disqualify you from the scholarship. You can also ask a friend or a family member to offer their own constructive criticisms and opinions regarding your work to help improve your writing. You might be interested in salary certificate examples. 9. Get involved with community work. Apart from college essays, your commitment to volunteering and other community-centered activities can paint a positive image for scholarship sponsors to refer to. Students who dedicate their time and energy volunteering for different charity works can enjoy a huge advantage with their scholarship offers. Although this might sound biased to some, it only makes sense for a non-profit organization to reward committed individuals for their acts of charity. Most scholarship offers have a list of requirements that an applicant must meet. This includes information about their educational attainment (along with one’s grades), personal data, results of a test provided, as well as their admission essay. If you happen to have everything else on the list except for one of the key requirements, then you may be disqualified from the scholarship. You may also see gift certificate examples. Hence, make sure to gather all the necessary requirements to secure an early submission before the specified deadline. 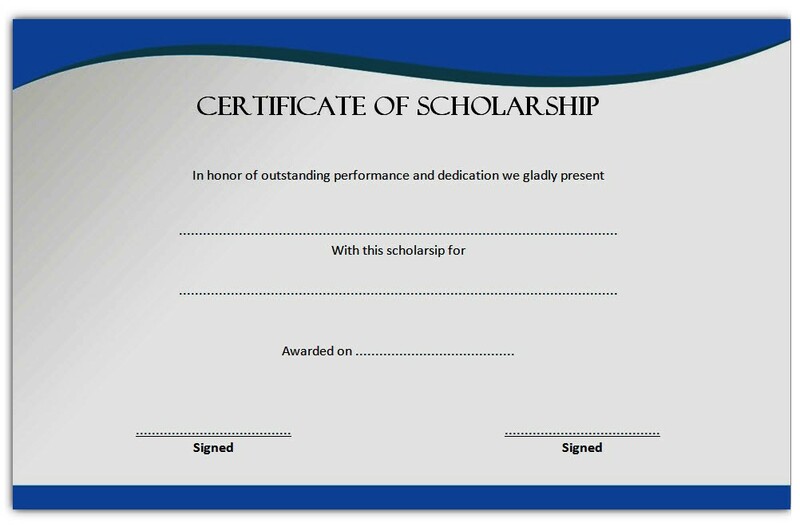 Scholarship award certificates are typically given to students that qualify a particular criteria. With the vast number of applicants coming in from different cities, states, and countries, students need to work extra hard to get the scholarship that they deserve. With the right mind-set and attitude in place, all the hard work you’ve exerted to earn a good scholarship is sure to pay off!